The first obituaries for Will Baumol have been rightly admiring and affectionate. A number of people have linked to this excellent article about his work on A Fine Theorem. Here are obits from Vox and the Washington Post. Beatrice Cherrier has a very informative Twitter thread about him too. Like many students of my era, I knew Baumol all too well because of his textbook Economic Theory and Operations Analysis (first published in 1961). My personal contact with him came through working with him on a lecture and essay about entrepreneurship in Scotland, one of the Allander Series of lectures in 2004 (the essay is published in New Wealth for Old Nations). In his 80s then, he had been willing to fly over to engage with a project exploring how to stimulate growth in the context of a small nation with expanded but limited policy instruments at its disposal. He was full of enthusiasm, courteous, interesting. I got in touch from time to time afterward, visiting him once in New York and exchanging emails. We chatted about economics and electronic art. The book I know best, thanks to that Allander Lecture, is The Free Market Innovation Machine. Published in 2002, it set out the distinction between ‘big’ and ‘small’ innovations, and the regularity that big firms do small innovations and vice versa. 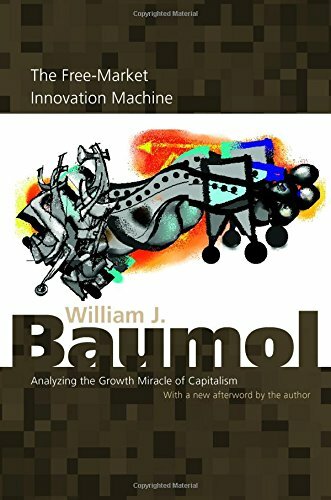 This has become a familiar idea but I think Baumol was one of the first people to describe how well it seemd to fit what had happened and to analyse the rather complex set of social institutions and market structures to incentivise productive (rather than rent-seeking) innovation and diffusion. Like the rest of his work, it is subtle, creative, based on careful observation of how markets and businesses operate. It concerns both individual incentives and the institutional framework in which businesses and consumers exist – this well ahead of the current wave of enthusiasm in economics for institutions. It’s hard to think of an economist who has made important contributions across such a wide range of applied micro questions – going far beyond the rightly famous ‘cost disease‘. A number of people have observed that he would have been a worthy winner of the Nobel Prize – but he seems to have paid the penalty either for being too wide-ranging, or for generally shunning complicated algebraic models. The cost disease, powerful an idea as it is, involves not a single equation. Productivity and American Leadership is one of my favorite books and Baumol is an economist I have greatly respected for many years. Wide ranging is right. I just rooted out from the library store his Welfare Economics and the Theory of the State and am really looking forward to reading it after scanning the first 2 pages!